According to our estimates, the Pulsar VS400 will cost around Rs. 1.80 lakhs (ex-showroom). That means it will be slightly more expensive than the Mahindra Mojo, which is priced at Rs. 1.63 lakhs (ex-showroom, New Delhi). However, the Pulsar gets a bigger engine and will be more powerful than the Mojo. 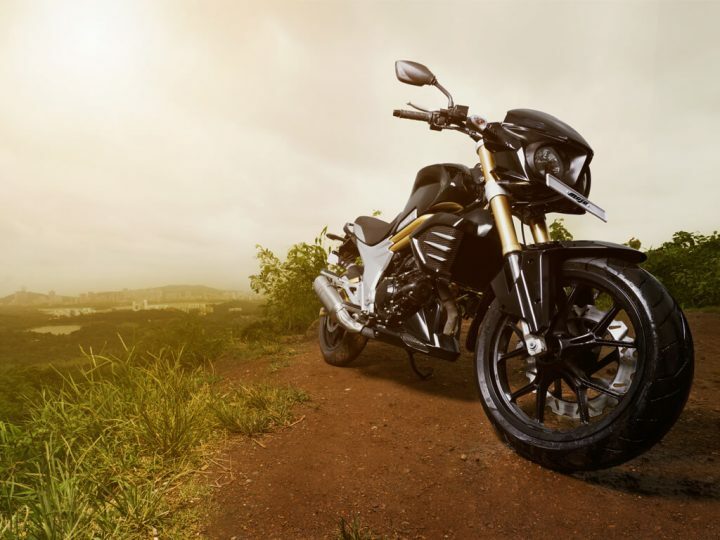 Bajaj’s upcoming cruiser will share its engine with the KTM 390 Duke. 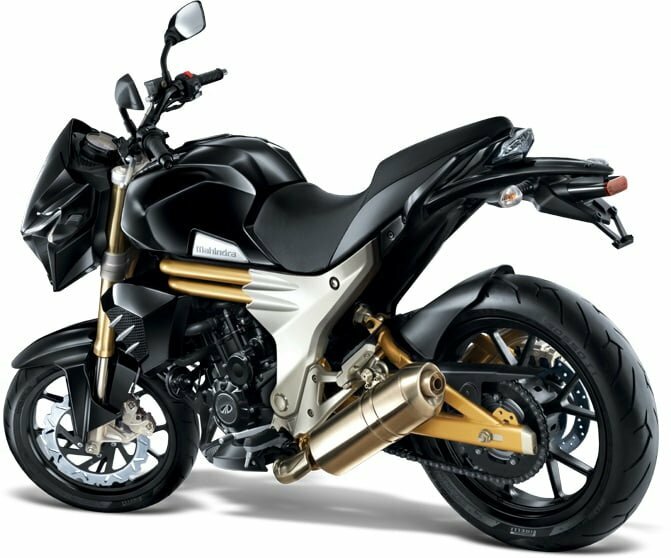 However, it will feature Bajaj’s Triple Spark technology and it will be retuned to suit the cruiser nature of the VS400. Maximum power output will be around 35 PS while peak torque should be in the 35 Nm range. Mahindra Mojo is powered by a smaller 295 cc engine. While power and torque outputs are lower, peak numbers are achieved at a lower rpm. Mojo comes with Pirelli Diablo Rosso tyres and a generous 21-litre fuel tank. The 30 kmpl figure in the above table for the Pulsar VS400 is just an estimate. Mahindra Mojo returns an overall mileage of 36 kmpl. The VS400 (CS400)’s higher power should lead to a higher top speed. We expect a max. speed of 155 KMPH. In comparison, Mahindra Mojo tops out at just under 150 KMPH. Official figures for the VS400 are unavailable as of now. The ones you see in the table above are estimates. The styling of the Bajaj Pulsar VS400 seems to draw inspiration from bikes such as the Ducati Diavel. It sports a less aggressive, cruiser look with some interesting design elements. There are no body graphics. Bajaj Pulsar VS400 sports a full LED headlamp and LED tail lamps. Mahindra Mojo features very distinctive styling. Up front, it gets a twin pod setup for the headlamps with LED pilot lamps. Bits finished in golden colour add to the Mojo’s appeal. At the back, the Mojo gets an LED stop lamp and twin exhaust pipes. Expect Bajaj to offer 4 to 5 colour options for the CS400. Bajaj Pulsar VS 400 is almost here! Bajaj’s upcoming Pulsar will be more suited to cruising rather than outright performance. Mahindra’s Mojo is also targetted at those looking for a cross country tourer. Bajaj’s strong brand name should help the Pulsar VS400 attract customers. Design – Looks are a matter of personal taste. Both bikes get very distinctive styling. Specifications – In terms of specifications, the Pulsar VS400 features a bigger and more powerful engine. However, peak power and torque from the Mojo’s 295cc unit comes in at a lower RPM. 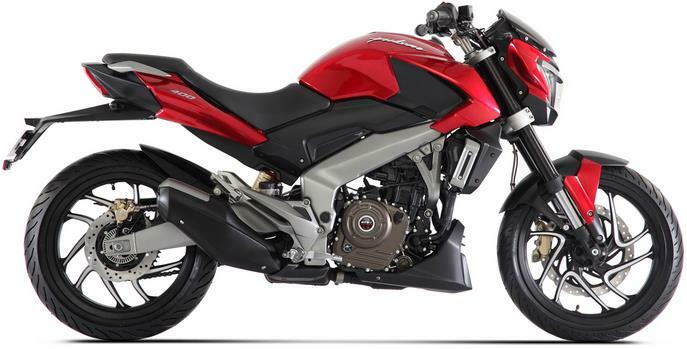 Price – Bajaj will price the upcoming Pulsar VS400 around the Rs. 1.8 lakh mark. This means it will, in all probability, be more expensive than the Mojo. 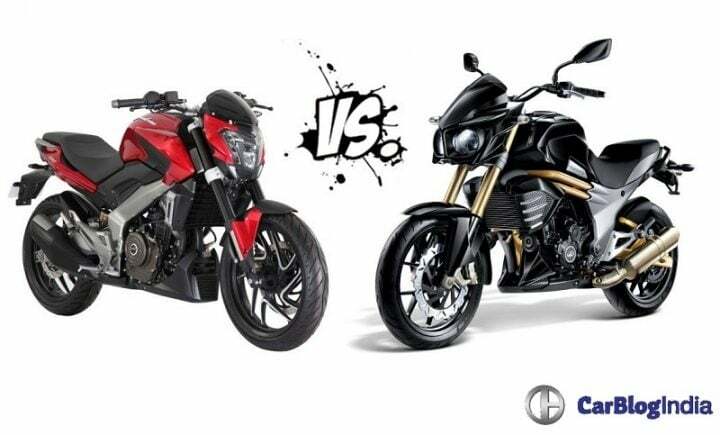 So what are your thoughts on our Bajaj Pulsar VS400 vs Mahindra Mojo comparison? Do let us know via the comments section below and stay tuned to Car Blog India for more updates on Bajaj Pulsar VS400 vs Mahindra Mojo.